Commotie organizes Food pong! Do you like Beer pong and do you like to eat? You are in for a treat. 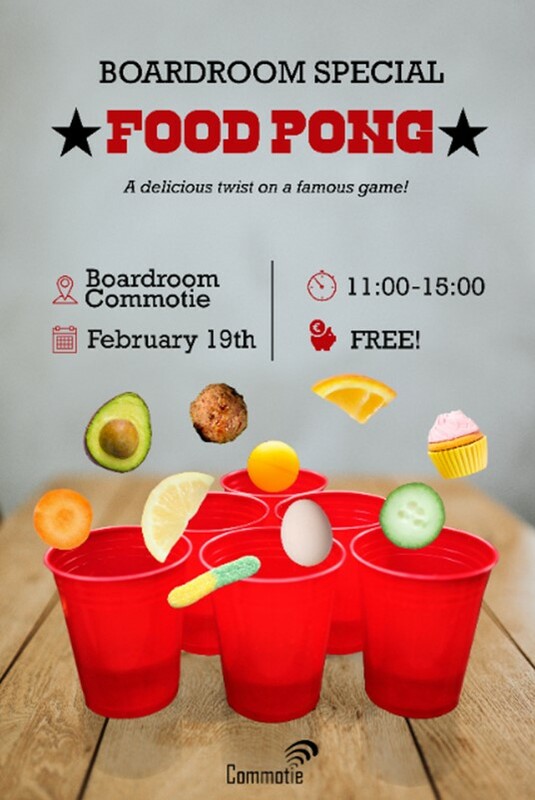 During the boardroom hours on Tuesday the 19th of February you can play Food pong in the boardroom. How does it work? You just come by at any time you like and you play against anyone you like wíth anyone you like (or 1 vs. 1 of course). There will be two tables where people can play on. The game is very simple: You have to throw a pingpong ball in one of the cups, then your opponents have to eat what's inside. This can be a delicious snack or less delicious. So very exciting! Come by at any time from 11:00-15:00 on February 19th and play a game (or more) with your fellow 'Commotianen'!